BESTEK LED desk lamps come with multiple lighting moods to fit for varieties of occasions, living room, bedroom, baby room, study room and office. High efficient LED illumination can provide high but soft brightness. I bought this lamp the slim design really attracts me. But out of my expectation, it is really good to use, just the same as advertised. Highly recommended. The timer function is really helpful to my daughter, who often reads at night and falls asleep without turning off the lamp, great purchase. This lamp is exactly what I was looking for, it is fashionably designed, versatile and practical. And it takes little space, very pleased with it. Nice product, the adjustable lighting mode is very useful and convenient for me, and the timer function is also great. I bought this as a gift for my daughter, and she loves it so much. She uses it every day to read at night, very satisfied with this purchase. I bought 2, and I have used it every day for months, there is no issue with them until now, works great. Great purchase at a wonderful price! 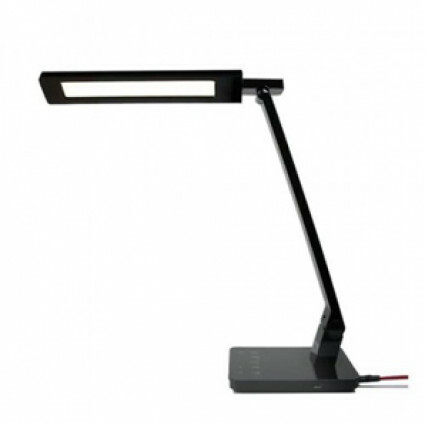 This lamp is really awesome, easy to use and comes with multiple functions, perfect for me to read at night, really worth the price. The touch buttons are very sensitive, so it is very easy and convenient to adjust the lighting modes, good product. Adjustable design, the lamp can be freely adjusted to different angles to meet my different needs. Comes with 4 lighting modes: reading, studying, sleeping and relaxing, greatly meeting different scenes.